Today I have a gorgeous blue to show you! 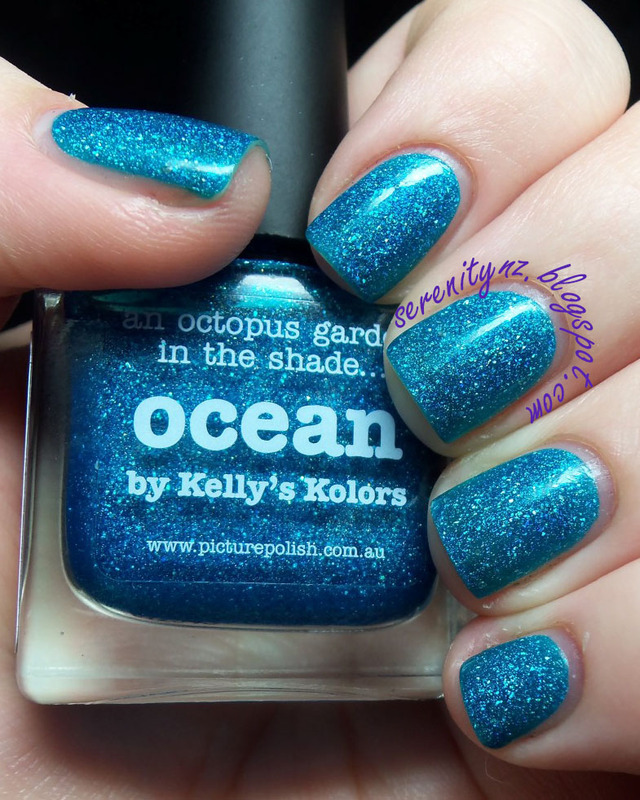 Picture Polish 'Ocean' is a collaboration shade between Kelly's Kolors and Picture Polish. Ocean has a turquoise jelly base with scattered holo flake particles. These swatches show 3 coats plus topcoat. Formula was great - no problems at all. This shade is inspired by Kelly's love of the ocean and The Beatles. 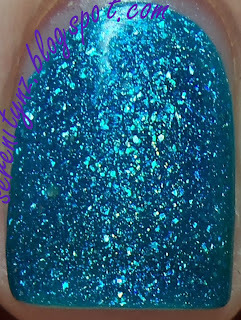 This polish is so pretty, it really does sparkle like the ocean! I love the depth that the holo flakes give. Picture Polish is available at Llarowe, Harlow & Co, Picture Polish and Overall Beauty.